Super versatile, very musical amplifier with outstanding sound quality even at low volume. Home games are played on a 1x12 Mesa Boogie Mini Slant Cab with V30 Speaker. As guitars Gibsons, ESPs and a Duesenberg come with humbuckers, P90 or split coils. Since I sold my Mesa Boogie Mini Rectifier because I did not like the center in the lead channel and the Modern channel was too loud for the flat, I was looking for a versatile, inspiring amp from Clean to Zep, from GnR to Metallica can cover everything and is more flexible than my Silver Jubilee. At the same time he should deal well with pedals and sound good even at low volume. A loop was also important to me, but not a must-have. All this can be the Atma and much more. Because it inspires, opens up new possibilities, offers a creative platform and brings out the best in my guitars. At the same time he reacts so sensitively to my game that he motivates me to improve myself. The first thing I noticed when unpacking is how small and above all how easy the head is. The Atma is due to the aluminum housing even in comparison to the Mini Rectifier a lightweight, which in no way detracts from the value, since both feel and appearance are great. There are many tests and testimonials on the Internet praising the Clean Channel and its versatility, and indeed, this thanks to the Tone control covers a relatively large bandwidth, for me personally the Blackface sounds remain a nice-to-have. When I play the clean channel, I do that with the Tone control from 11 or 12 o'clock, where it's supposed to sound more like tweed. Generally it should be noted that the playback is extremely faithful, very musical and with a surprisingly long sustain. When the cabinet is closed, the bass may sometimes be too much of a good thing. Additional settings of the EQ would be useful here, but their absence is not a deal breaker. I find the Crunch Channel's 60s even hotter, as it can cover a great deal from very convincing (marshall-like) clean sounds to early AC / DC and even Zep, providing the best platform for fuzz and overdrive pedals I've ever heard. Even compared to Fender amps, this mode has breathed new life into my pedalboard. From clean to nu-metal, everything is possible here with the right pedals and the amp just always sounds musical. If you switch to the 70 mode, there is a volume jump that I would have liked to have done without, which is not as disturbing as the Mini Rectifier between Vintage and Modern. This mode is much more picky with pedals in front of it, but covers almost everything in rock and hard rock without pedals. If you need more gain and above all more compression, you switch to the 80 mode, which makes "Apetite" on "Brown Sounds" but also crazy solos. With the right fuzz or OD, there are no limits as far as defined distortion is concerned. Amazing that the amp never sounds washed out. If you also switch to Modern Mode, the basses become a bit tighter, the overall sound more defined and you get the perfect sound for A7X. In the 18-watt setting, the amp is too loud for my home. At 1 watt, the sound loses a bit on the bass, but this sound is still unlikely to rock in the middle of the night at home. For me, the 5-watt setting has proved the gold right. No noticeable loss of tone and a flexible, bearable volume. You have to say that the controls are so finely adjustable that you can really easily find the right setting. The consistent quality is, as everywhere here felt. Above all, this top quality is always audible at the Atma. It's just so much fun to play the amp and try different guitars. The character of different instruments is reflected. 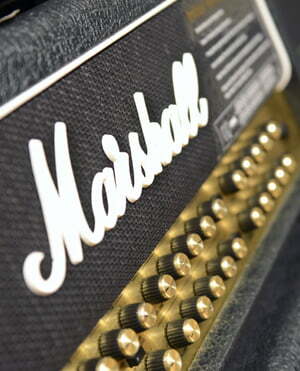 The amp becomes an integrative element of the sound, it becomes the instrument. My main amp before the Atma was my Marshall Silver Jubilee Mini, which I usually mixed with a Blues Junior in parallel over a Lehle Splitter with upstream effects. For reference, I have a hand-wired Cornford Carrera and of course the Mesa, which I played a long time. The Atma is by far the best amp I've ever played, stand-alone and in combination with pedals. The loop is also fantastic and reflects delay and reverb very well. My only fear that the amp would sound too "modern" has dissipated in the void. If modern means that the sound comes out extremely direct, present, tight and precise from the speaker, has a long sustain and always sounds musical, then I have nothing against it, especially since the sound can be formed extremely well with pedals, if you can would like to. The result for me can definitely sound vintage or modern, depending on what and how I set. So after 2 weeks I can say that the Atma stays and seems to me to be the perfect amp where I can experiment and learn a lot. It covers all the sounds I wanted and gives me the opportunity to experiment and shape my own sound. Amazing how many new opportunities a new amp can open. We seem to spend a lot more money on guitars for guitars ... but a new amp can be a real game changer. M Bogner as usual has concocted a head Lunch Box format of irreproachable quality! The format is ideal, and inspires confidence in the materials used: it is small but very dense at the weight level. The sounds are very varied and go from the pure vintage year 50 (Jazz and Rock'n Roll), through the coarse grain of the 70s (Led Zep, ZZ Top) Metallica). 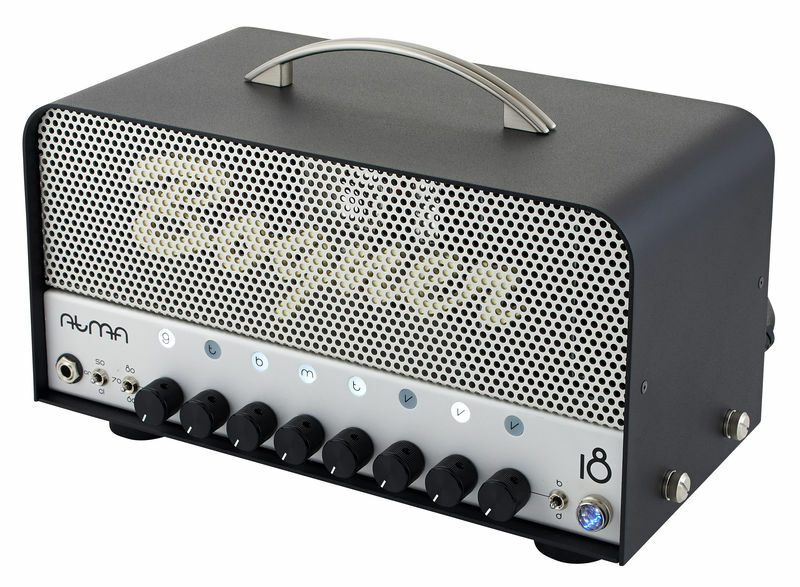 And all that with the Bogner quality. The head goes very well with different HP, cab 'closed back or open back, Celestion V30, Greenback, Elite 80, etc: it's amazing! Integrated attenuator 18W, 5W, and 1W. In 1W, it's perfect for the home: you need to use a small HP if o is purist story to keep medium low, otherwise it is usable with closed eyes with the same HP as 18W or 5W. The Modern / Vintage switch that changes the response of the amp by compressing and further tightening the sound in Modern mode. In Vintage mode the sound is organic whatever the microphones are used. 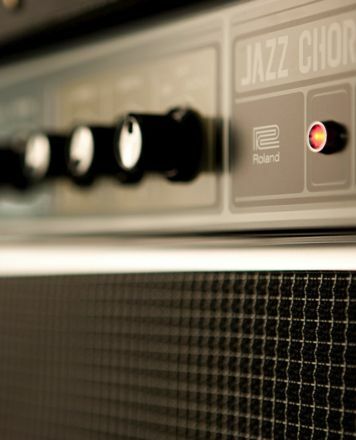 The 3 modes of the clear channel that changes the sound and the response of the tone adjustment: it goes on sound clear and warm ample to the more slamming type Fender. The 3 modes of Voicing 60/70/80 of channel 2: we have 3 amps in 1 because it changes the way the overdrive reacts, so whatever your desire for the day, there is necessarily one of the 3 positions that suits. Note that in mode 60, one can venture to Jazz or Rockabilly without worries. In mode 70 it is a true 4x4 of the sound ranging from the crunch to the solo in fusion! In 80 mode it's pure Drive: for a big metal Crunch, we put ourselves in Modern mode, we dig a little the Meduim, we take his 7 strings, nothing more simple! The 2nd gain and volume setting of channel 2 called "Crunch" can be switched via the included pedal. The transparent and breathless effect loop: by adding a reverb and a delay it reached another dimension. The finish aluminum and satin black is of the most beautiful effect but the stripes. The head diffuses a lot of heat and there is no air grating on top, so it must leave air all around (a real small heater). It lacks a stand-by switch, especially when you want to cut the amp: it makes a slight "poc" on the loudspeaker if one is too pressed. ID: 330534 © 1996–2019 Thomann GmbH Thomann loves you, because you rock!